The art of PPC campaigns is something that requires subtlety and experience, so it’s safe to say that beginners will make plenty of mistakes. With a variety of variables like keywords, targeting, ad budgets and content, you have a lot to consider and refine for any particular campaign. Practice makes perfect, but some never learn from their bad mistakes. If your PPC campaign currently is bringing in lots of traffic and leads but those leads seem to be garbage, then it may have something to do with how your PPC campaigns are structured. Below, we will outline a few common mistakes that could be causing this trend, and you’ll be able to check to see if any of them are playing a role in your situation. The keyword selection that you make for your PPC campaigns will ultimately determine which audiences it is going to reach. Every keyword that you target is a potential for quality traffic – or terrible traffic – depending on how relevant it is to your market. Sometimes, we become used to adding new keywords to expand our audience without removing those that do not perform well. Over time, this can add up to quite a bit of traffic that isn’t exactly destined to purchase, convert or engage in some way. Before you start pinging search engines with new keywords for your campaigns, make sure to take the time to find the poorest performing ones, and remove them from the equation. 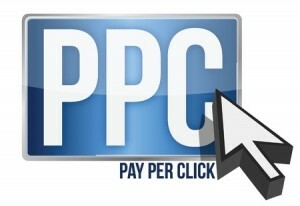 Running a PPC campaign can be costly, and we obviously do not want to spend more than is necessary. Unfortunately, many make the mistake of setting their daily budgets too low, which can cause issues with the types of traffic that are received. You should already be aware that depending on your niche, people are more likely to engage and covert at specific times of the day than others, so it’s vital that your PPC daily budget works within these confines. If your campaign runs out of budget at noon but your optimal time for conversions is between 5 PM and 10 PM, then you are wasting your money. Make sure to avoid this fate by scheduling your campaigns to run during specific times each day that correspond with your highest levels of conversions. Some people have tried to ‘trick’ search engine users and social media users into clicking on their ads, despite the fact that many might not be inherently interested. The logic goes that if they only get to the website, then they’ll be true believers. When your ads do not match your landing pages, this creates a concept of deceit and untrustworthiness between you and your potential customers. This will only result in them leaving the website, and giving you the impression of bad leads. If you have any discrepancy between what your PPC campaigns are advertising and what you are offering, then immediately cease this behaviour and alter your campaigns accordingly. Otherwise, you are simply wasting your hard-earned money pinging search engines with content that most will not find interesting.